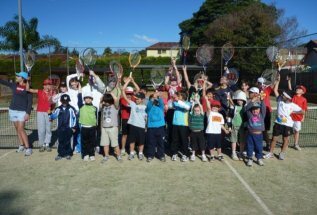 Our School Holiday ANZ Tennis Hot Shots Tennis Camps are run every school holidays. The format of our School Holiday Tennis and Fitness Camps is based on the ANZ Tennis Hot Shots junior development program and delivery methodology. Using modified equipment and scaled down sizes of the court ensures optimum development and participation for all children as well as the enjoyment of all participants regardless of the age or standard. 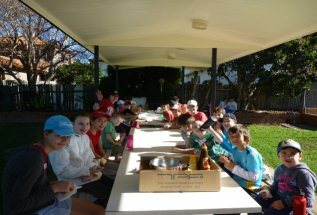 This is our most popular School Holiday Activity Program.